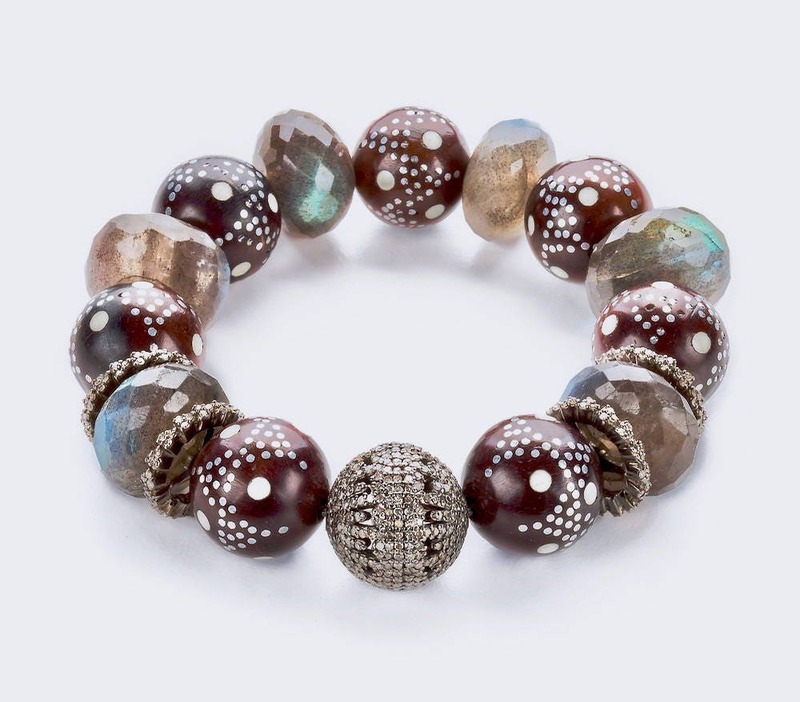 This is an exquisite unique diamond ,labradorite and current day Prayer bead bracelet. 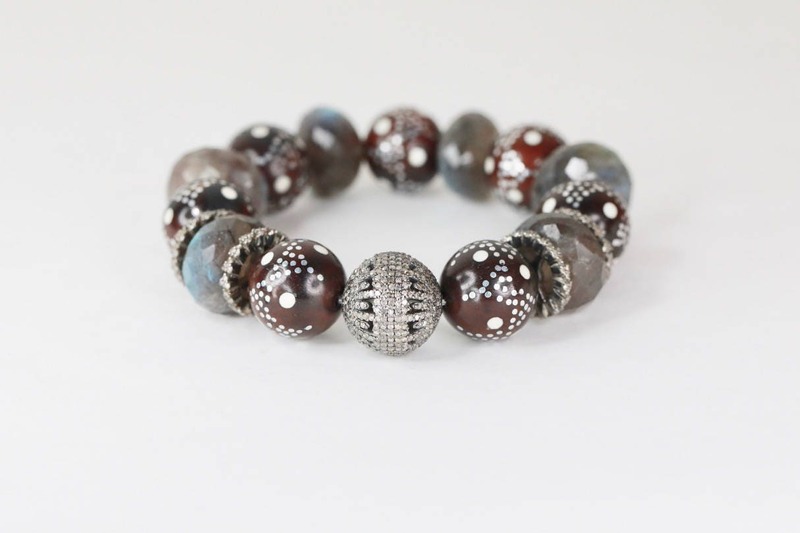 These prayer beads are exquisite at 15mm size with a rich brown tone and sterling silver and white patterning inlaid into the wood. The design is not painted on but inlaid into the cocoa tree wood. These are made in Turkey by skilled artisans. The faceted labradorite has amazing labradorescence ( schiller) and measures about 16 mm in diameter. 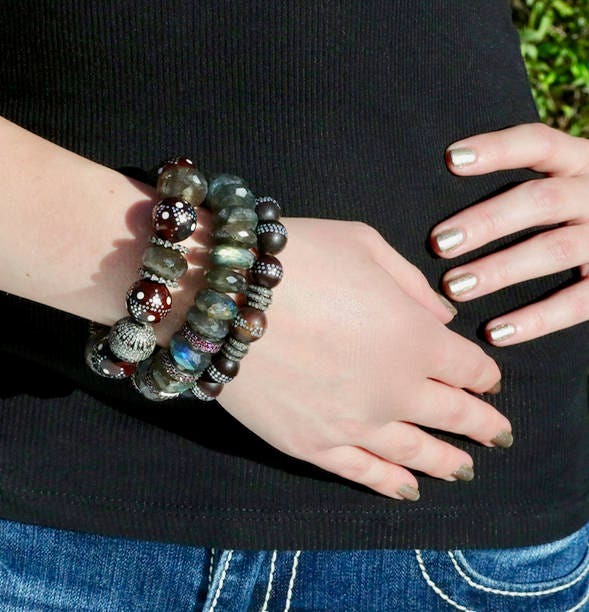 Each labradorite is at least 11mm in thickness. The genuine diamond round focal is exquisite and is set in oxidized sterling silver with rhodium plating. This pave diamond work of art in itself measures 16mm. 4- 15mm triangle patterned pave diamond accents ( again exquisite quality) complete the design. Each diamond accent is set in oxidized sterling .925 silver with rhodium plating. 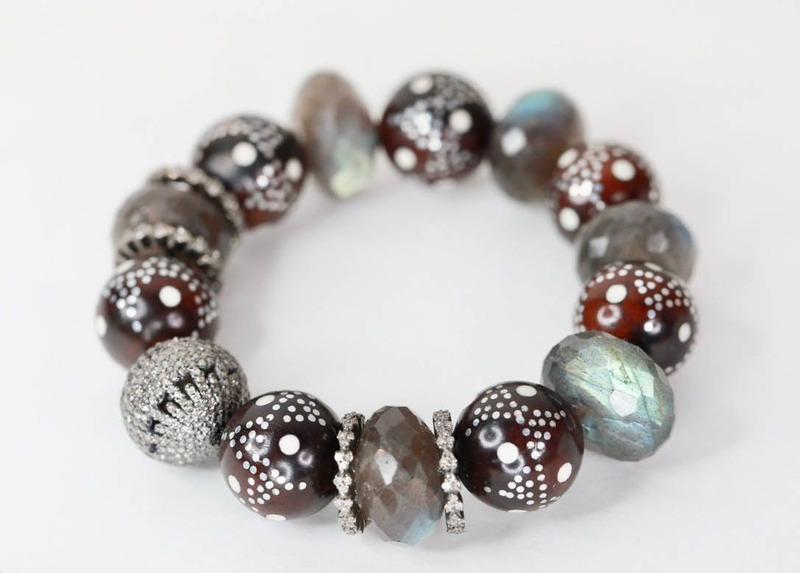 the circumference is about 7.2 inches and fits most wrist sizes from 5.8 inches to about 6.6 inches. I will gladly custom make yours to fit you if you'll send me your exact wrist measurement at check out. THIS LISTING IS FOR ONE (1) BRACELET AS SEEN ALONE IN PHOTOS 1,3,4 AND 5 and shown on the arm stacked with additional bracelets in photos 2 and 4.